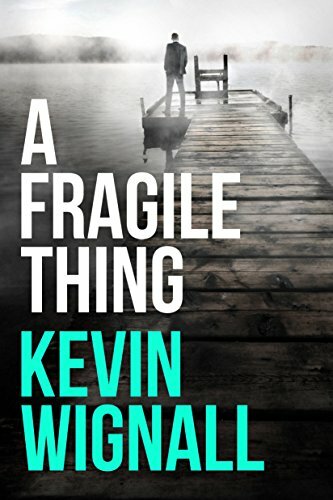 I’m fond of Kevin Wignall’s novels. Between Graham Greene and Ian Fleming on the espionage scale, his books run much closer to Greene, but I don’t like Greene much, and I do like Wignall. To Die in Vienna is not my favorite of his works, but it’s pretty good. Freddie Makin used to be an intelligence agent, but after a very bad experience he gave it up – mostly, except for the nightmares. Now he does electronic surveillance, for clients whose identitiesw he does not care to know. For a year he’s been in Vienna, monitoring the life of a genius scientist named Jiang Cheng. He’s grown rather fond of the man, whose activities seem in no way suspicious. Then one day Freddie abandons his monitoring early to go home with a headache. He finds a man in his apartment, waiting for him with a gun. Freddie manages to kill the man, almost accidentally. Then Jiang Cheng disappears. Freddie doesn’t understand what is happening, but some things are clear. Jiang must have seen or done something that made him a danger to someone. And whoever got rid of him clearly wants Freddie dead too. So he has to disappear. Fortunately his experience as a spy has prepared him to change identities. But that’s a temporary measure. He’s certain of one thing – he must find out what the “too much” was that Jiang knew, find out who the killers are, and make a deal with their enemies – whoever they are. 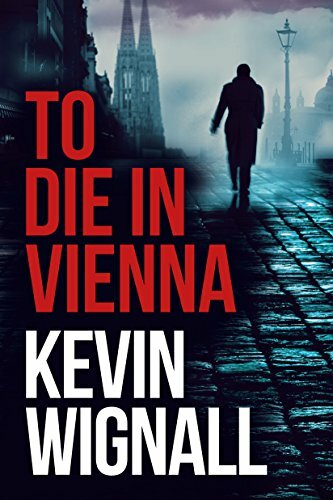 To Die in Vienna is leisurely as spy novels go, but I liked that. The emphasis is on personalities, and we get to spend time with them. That makes for enjoyable reading, for my taste. I thought the plot relied too heavily on coincidence at a couple points. Otherwise I can’t find fault. Recommended. He smiled, but said no more because he didn’t want to lie to her again, not about something so unimportant. There is a class of authors whose work just flies over my head. I don’t get them. I accept their greatness based on the testimony of readers smarter than I.
Kevin Wignall is an author I sometimes don’t understand, but I like him anyway. A Fragile Thing is a challenging book presented in disarmingly simple form. I enjoyed it, but I’m not sure how to evaluate it. Max Emerson is an international money man, and fabulously rich, living in Italy. He invests money for some of the wealthiest, most powerful, and most evil people in the world – dictators, crime lords, drug kingpins, human traffickers. He tells people (frequently) that he never breaks the law. And that’s technically true. But he has facilitated and turned a blind eye to a number of crimes. Now he’s under pressure from the FBI, and hackers are threatening his records. Max is alienated from his older brother and sister, and their families. His brother in particular is ashamed of Max’s reputation. This makes family events awkward, and Max generally visits his parents, in their Swiss mansion, only when his siblings aren’t around. The most profoundly moral kind of book, I think, is a genuinely realistic story about immorality. It’s easy for moralists (even, or especially, Christian moralists like me) to say what people ought to do in this or that situation. But the disturbing question is, “Would I really do the right thing? Especially if it was hard and embarrassing? 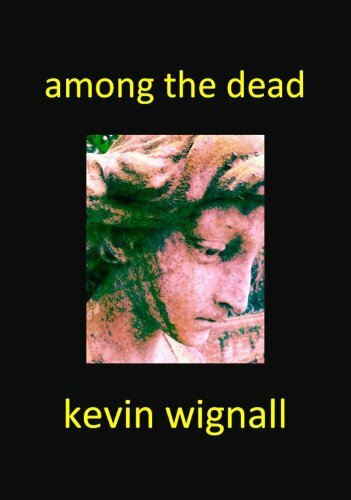 Or how far would I go to cover it up?” Those are among the questions raised by Among the Dead, a fascinating novel by Kevin Wignall. Ten years ago, five university student friends in England were driving from a party, all of them a little drunk, when their car struck a young woman who darted into the street. Since she was dead anyway, they agreed they couldn’t do anything to help, and reporting the accident to the police would only cause unnecessary trouble, doing no one any good. Now, ten years later, they are generally out of touch with each other. They’ve tried to forget the past – with mixed success. When one of them dies of an overdose, Alex, a sleep researcher who suffers from insomnia and night panics, tries to get in touch with the others, to let them know. But more deaths are coming. Is it coincidence? Or is someone killing the group off, a decade after their crime? Among the Dead wasn’t a cheery read, but I found it fascinating and challenging. I recommend it for serious readers. Cautions for language. He did feel bad for burdening her, yet at the same time he’d wanted to tell her much more: that he was lonely, that he felt like indistinct bits of him were dying, that nothing was clear anymore. It was enough though, what he’d told her was enough, like a gasp of pure oxygen, burning the tissue of his lungs. 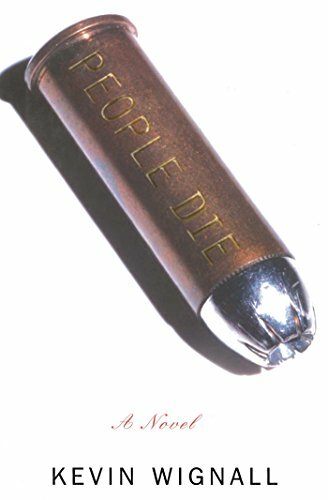 I’m not entirely sure what to make of People Die, Kevin Wignall’s debut novel. It’s not exactly amoral, but not exactly moral either. I suspect it’s one of those sophisticated books not intended for middlebrows like me. JJ Hoffman is a freelance hit man, based in Geneva. He has an impeccable reputation in his field – he does his work efficiently and dispassionately, leaving no metaphorical messes behind. But now he has found his handler murdered, and rumor says that several others of his colleagues have been killed too. Almost by coincidence (I think it counts as a minor deus ex machina) he is contacted by an American who tells him he knows what’s going on. He wants JJ to come and visit him, at an inn in New England. The problem is that the inn is owned by a woman whose husband JJ murdered a few years ago. People Die is a well-written tale. I thought it passed the bounds of plausibility a few times – and not in the normal way of thrillers, on the action side. The implausibilities here are psychological. And the resolution just made no sense to me. There’s a kind of grace at work here (in fact the book could be seen as a sort of Christian metaphor), but there’s an amorality at the same time. I couldn’t work out what to think about it in the end. Worth reading though. Cautions for language, violence, and adult themes. Call it conscience, if you will; all I know is that it’s a sadness for which I’m profoundly grateful, no less than if my sight had been restored to me after years of blindness. What overtook me yesterday was a longing to be the person I once was. 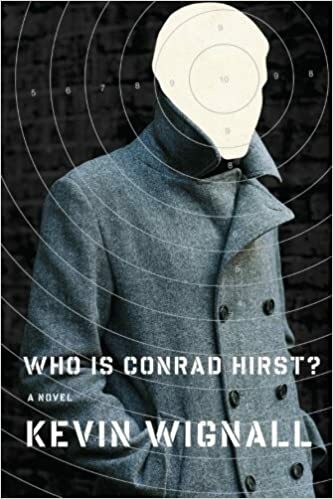 Conrad Hirst, titular hero of Kevin Wignall’s Who Is Conrad Hirst?, is a professional hit man. He works (or so he thinks) for a German crime boss. Years ago he stumbled into the profession after a devastating personal loss and time spent as a mercenary. He has been good at his job because he felt nothing, and because he displayed so little personality that people tended to overlook him. But now he’s had a shock. “I saw myself in a mirror,” is how he describes it. He wants out. He wants to stop being this person. His exit strategy seems clear. Because of the compartmentalized nature of the organization he works for, only four men know who he is – all of them bad men. He’ll just kill them and walk away with a clean slate. Of course it’s not that easy. He soon discovers that he isn’t working for the people he thinks he’s working for, and a whole lot more people know about him than he guessed. He keeps on the move, improvising as he goes, trying to figure out who his real boss is and to eliminate him. As he goes, he makes an effort to overcome the bad habit he’s acquired – killing inconvenient people. When most of us slip in our efforts to end a bad habit, the results aren’t that devastating. When Conrad slips, people die. The moral contradictions of being a professional killer are boldly explored in Who Is Conrad Hirst? What is a hero? What is a villain? There are truly distressing moments – lots of them – when we bounce back and forth between sympathizing with Conrad, and hoping someone will just kill him and put him and everybody else out of his misery. Who Is Conrad Hirst? is a fascinating, troubling book, like all Kevin Wignall’s work. I salute the author’s focus on questions of human choice and moral reformation, though I think he gives more credit to human nature (unassisted by divine grace) than it deserves. Also, there’s a very neat twist at the end. Highly recommended, with cautions for violence, language, and extremely shocking situations. Kevin WignallWho is Conrad Hirst? Inger said something under her breath in Swedish, something affectionate, brought on by the sight of the old man. And Dan understood the sentiment even if he hadn’t understood or even heard the words properly, because it was reassuring after a day like they’d had, to be reminded that there were good things in the world, and good people, simple food cooked well, strangers sharing their kindness indiscriminately. Dan had been outside that virtuous circle himself for most of his adult life, but he was grateful to be inside it now. In northern Sweden, a lumber truck crashes into a passenger bus. Only one person survives, a teenage girl. A fellow passenger, a stranger, had thrown himself on top of her to save her life. That’s how A Death in Sweden starts. Dan Hendricks, an Englishman but a former CIA operative, now makes his living as a sort of bounty hunter for various employers, some governments, some less legitimate. Doing a job in Madrid, he gets word that several of his colleagues are dead. Shortly after, he and a friend barely escape a hit squad. It becomes clear that someone powerful is liquidating a particular group of intelligence freelancers. Dan’s old boss asks him to go to Sweden to investigate Jacques Fillon, the man who saved the girl’s life on the bus. Jacques Fillon was not his real name, and his boss thinks he is the key to the motivation for the vendetta. Dan goes to the town, where a Swedish agent, Inger Bengtsson, joins the investigation. As they pry into Fillon’s secrets (fending off more than one assassination attempt as they do), they grow closer to each other. This is something Dan wasn’t prepared for, having cut himself off from ordinary human life for far too long. 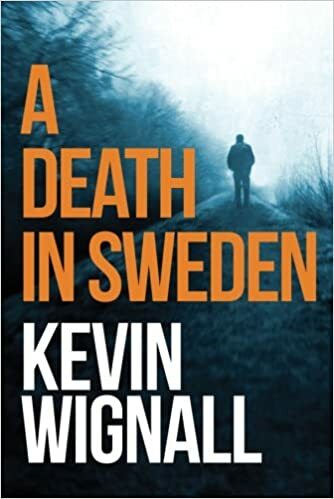 As in his other novels, Kevin Wignall trains a spotlight on an aspect of intelligence work that is generally passed over lightly in spy novels – the morality of killing. Again he paints a portrait of men who have reached moments of clarity, who have had to reevaluate not only their professions, but their very approaches to life. Again he contrasts profound human feeling and relationships with the kind of injury a professional killer must do to his own soul. Choice is at the center. Another very satisfying, though often harrowing, novel by Kevin Wignall. Recommended, if you can handle the violence, language, and adult themes. Like all Wignall’s books, it’s not for the faint of heart. ‘Nothing happened. I just decided to change.’ He said no more, and yet he wanted to warn her that it wasn’t that easy – something he and Bruno Brodsky and her own father all would have testified to. Once in, there was always a route out; staying out was where the difficulty lay. Another novel by Kevin Wignall. Again I was impressed, but in a somewhat different way. The Hunter’s Prayer is equally well executed, but it’s much darker than The Traitor’s Story. It contains, I must warn you, one of the most shocking scenes I’ve ever encountered in a work of fiction. Then their paths separate and they take very different roads. One road culminates in the truly awful moment I warned you about. Another leads to a kind of redemption. If it weren’t for the redemption angle, I’d probably have panned this novel as just too nihilistic. But it works in the end, in a somber way. 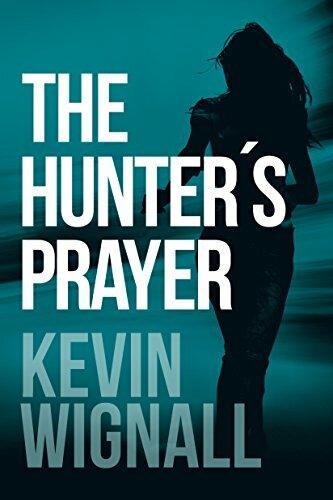 I recommend The Hunter’s Prayer, with cautions. Not only for language and the other usual stuff, but for the shock. I’m finding Kevin Wignall’s books profoundly moral – but the morality isn’t precisely Christian. …And Finn had probably undersold himself – he was acting out of self-preservation, out of revenge for everything that had gone wrong in the past, but he was also acting out of conscience and a sense of moral outrage, traits that until that moment he’d believed he no longer possessed. 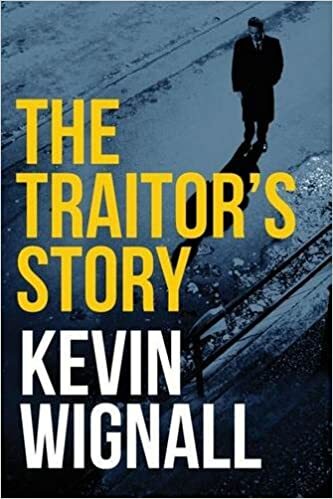 From time to time a book hits you square in the sweet spot, and that’s what happened to me with The Traitor’s Story, by Kevin Wignall. It’s a gripping yarn, and it’s told in a fresh and fascinating way. Finn Harrington is a popular historian, the author of several successful books. He lives in an apartment in Geneva with his girlfriend who, half as a joke, tells people he used to be a spy. The problem is that she’s right. Six years ago Finn was working for British Intelligence, and he was “corrupt.” He didn’t sell state secrets, but he used his contacts to enrich himself, and he left the service under a cloud. Then one day a neighbor couple comes to him in panic. Their teenaged daughter Hailey, they tell him, has disappeared without warning. Maybe Finn, with his “spycraft,” can help them find her. He refuses at first, but then relents. What he discovers explodes his world. The girl left home saying she was afraid that someone was following her. Finn discovers that she and a friend had hacked into another neighbor’s computer. When he discovers what they found, he’s appalled – the man they’d hacked, who has since moved out, had been surveilling Finn himself. He realizes that his peaceful life is over; someone from his old life is coming after him for revenge. I enjoyed the story for its own sake, but I enjoyed its execution as much. Author Wignall has a remarkably spare and lean, no-nonsense style. The style matches the dispassionate attitude Finn has adopted to the world, up until now. That unadorned narration continues as the story grows steadily more violent and suspenseful. The contrast between style and action makes the fireworks – and there are plenty – all the more surprising and effective. I have nothing but praise for The Traitor’s Story. Cautions for adult themes, language, and violence. There are numerous opportunities to take cheap shots at religion, and the author avoids them all.